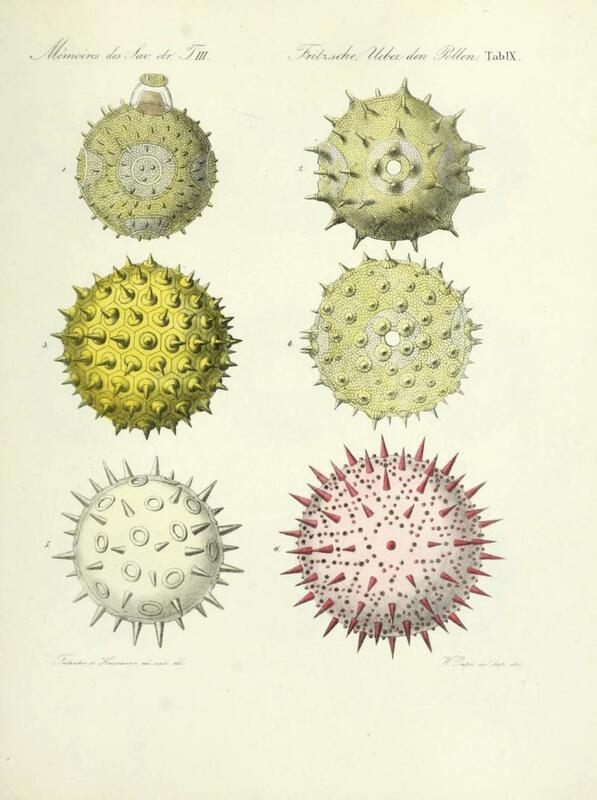 Pollen scientific history: Carl Julius Fritzsche's portraits of pollen grains. German chemist and botanist Carl Julius Fritzsche observed and depicted these grains of pollen from flowering plants using a microscope set at around 500x magnification. 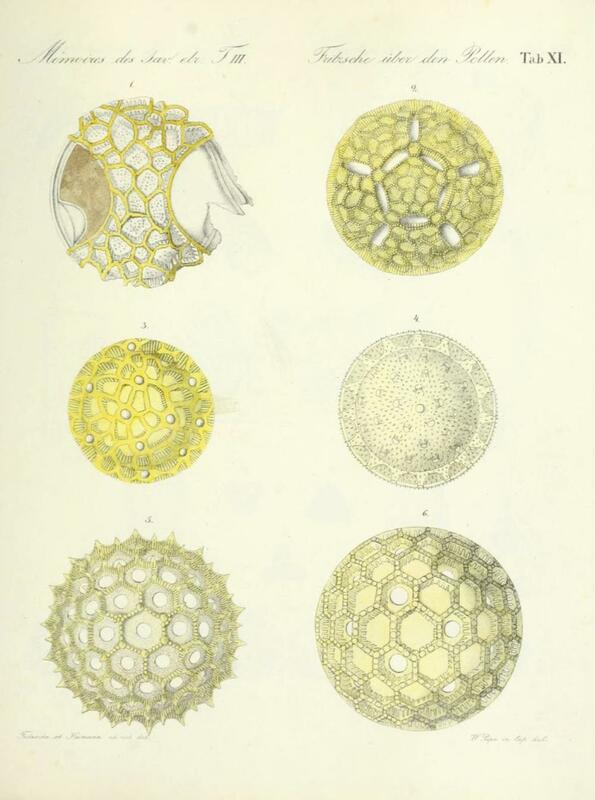 Fritzsche cataloged pollen grains from different angles, trying to understand their structure, and published his findings in an 1837 book, Ueber den Pollen (About Pollen). In 1830, English opticist Joseph Jackson Lister developed a lens that reduced an aberration that had previously plagued people using microscopes: the persistent apparation of a colored edge around an image. Fritzsche, who was then working in St. Petersburg, Russia, was one of a group of scientists across Europe who took advantage of these technological improvements to advance studies in pollen morphology. 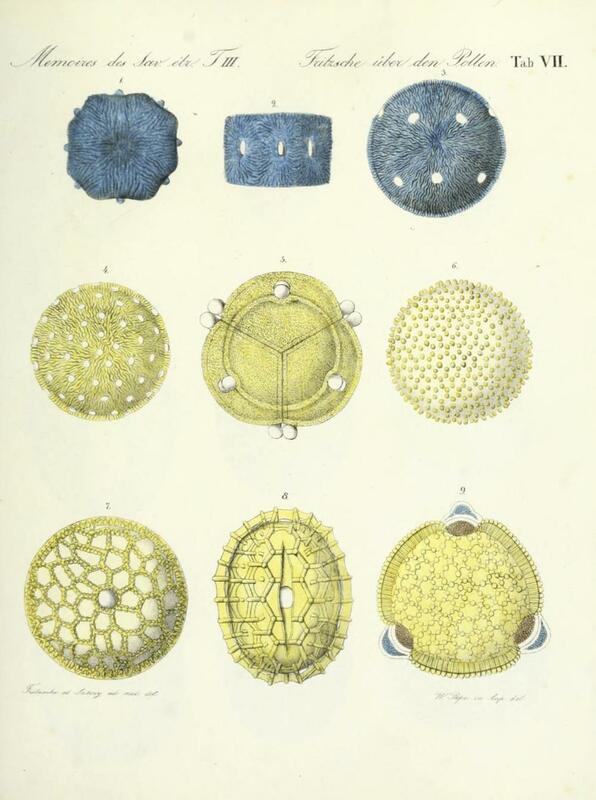 Fritzsche coined the terms exine (the outer wall of pollen grains and spores) and intine (the inner wall). 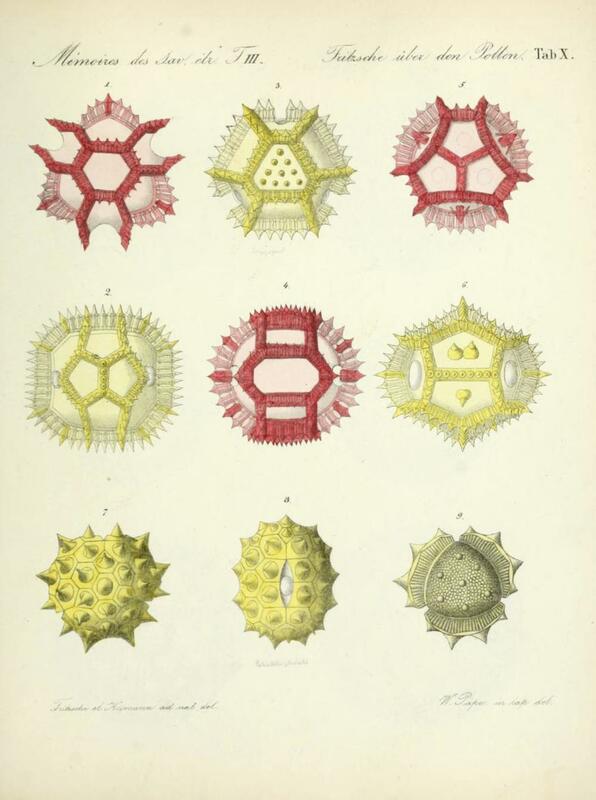 I first saw these plates on the Public Domain Review. 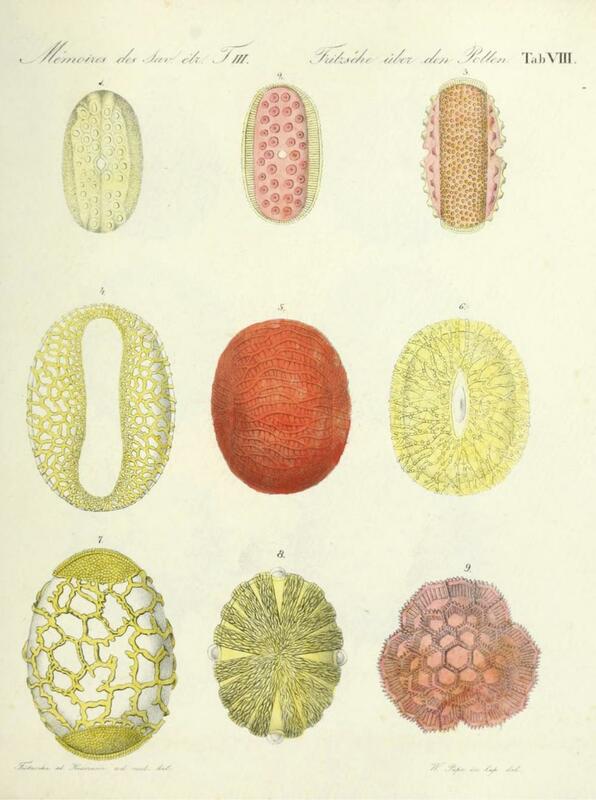 Click on the images to reach the page of notes for each plate, which includes the scientific names for the plants that provided Fritzsche’s pollen. Fritzsche’s notes on this page (in German, with scientific names in Latin) here.